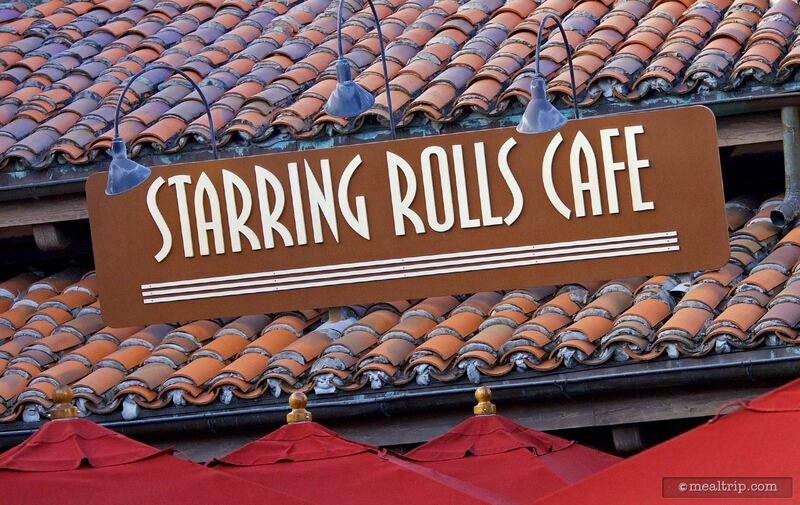 This outdoor seating, table umbrella covered cafe is only open for breakfast and lunch, and is located on the corner of Hollywood Boulevard and Sunset Boulevard. Breakfast items include assorted tarts, turnovers, muffins, danishes and fruit parfaits. 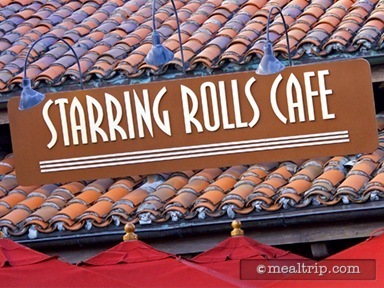 Lunch at Starring Rolls Cafe is very similar to breakfast, but adds a couple of sandwiches, such as a turkey focaccia served with your choice of chips or fresh fruit. I finally found a delicious apple turnover. Real apples and the crust was perfectly flaky. Not too sweet. I will definitely return for more apple turnovers.